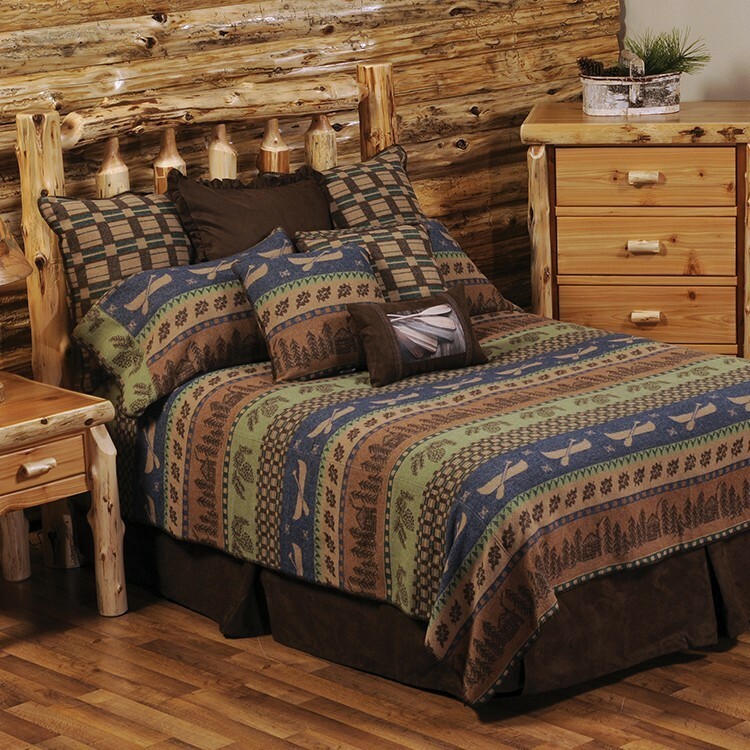 Create a rustic retreat for your home or cabin with the Lakeshore Coverlet Set. 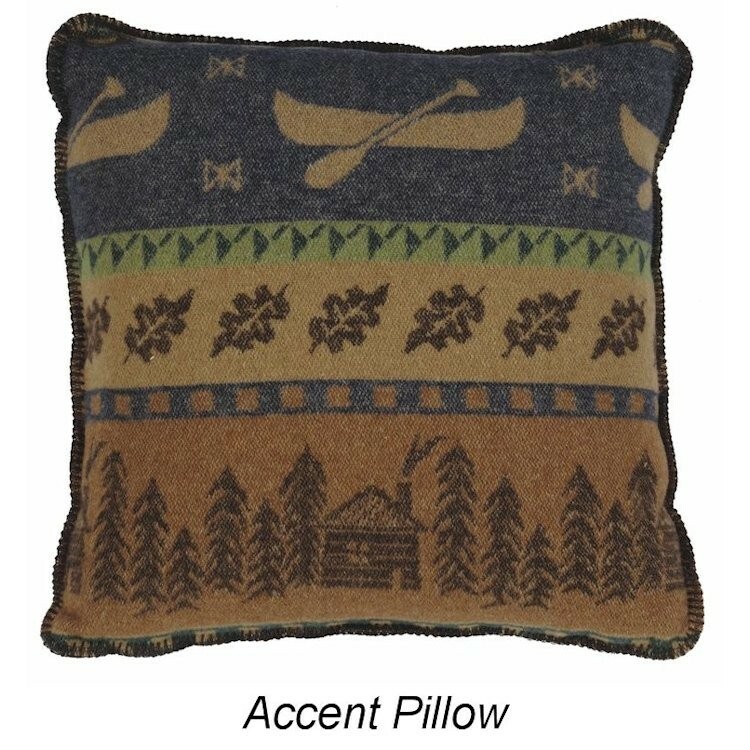 The warm rustic coverlets feature horizontal bands of canoes, cabins, pine cones and leaves made from a single layer of fabric with a decorative blanket-stitch edging. 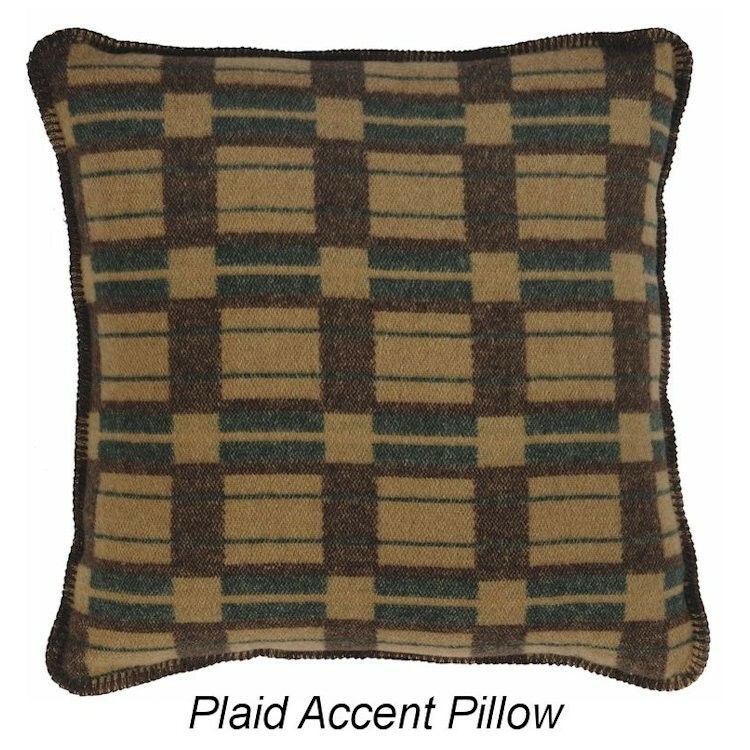 Predominate colors are denim blue, shades green, brown and tan. 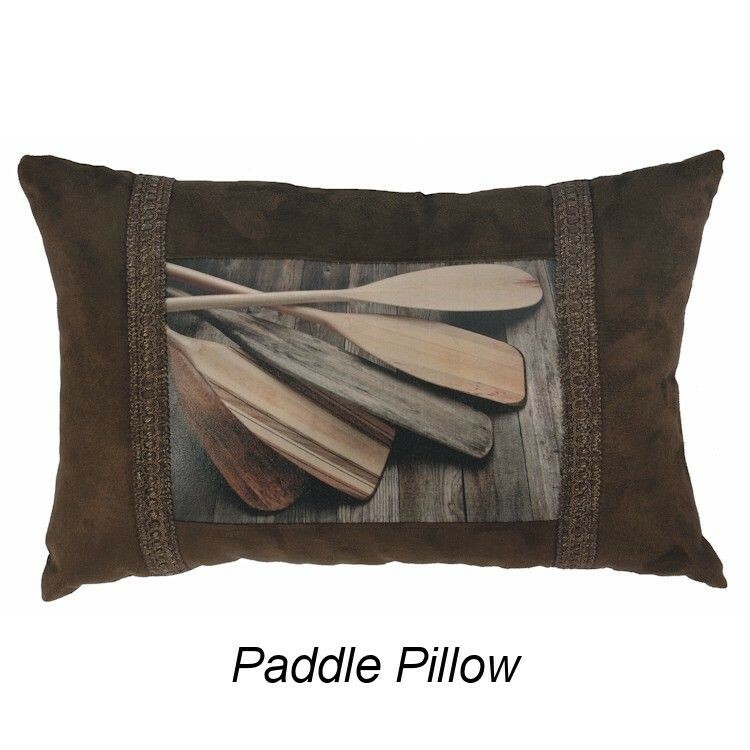 The pillow case style pillow shams echo the coverlet fabric and the tailored faux suede bedskirt in dark chocolate brown is a beautiful contrast. 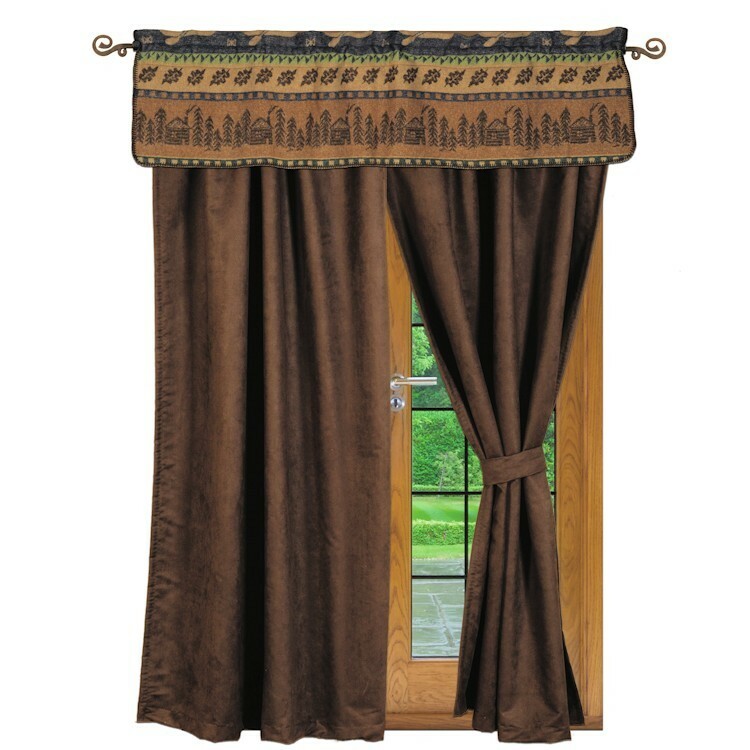 Three euro shams (two in Lakeshore Plaid and one chocolate brown faux with ruffled edge) add to the luxury of the deluxe sets.